With just a couple of clicks, you can score the entire game. 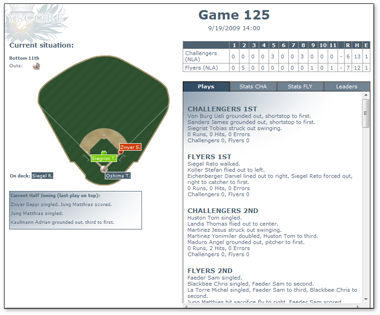 During the game, you can check live box scores and play-by-plays. Order by leaders, or grouped in sortable stats. 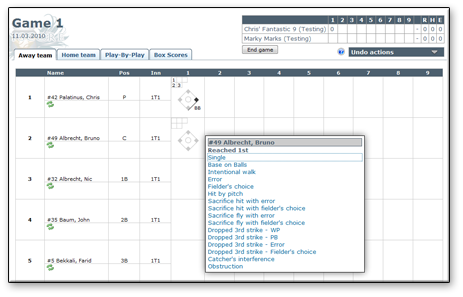 You can also apply splits like games at home, against a specific pitcher and other. 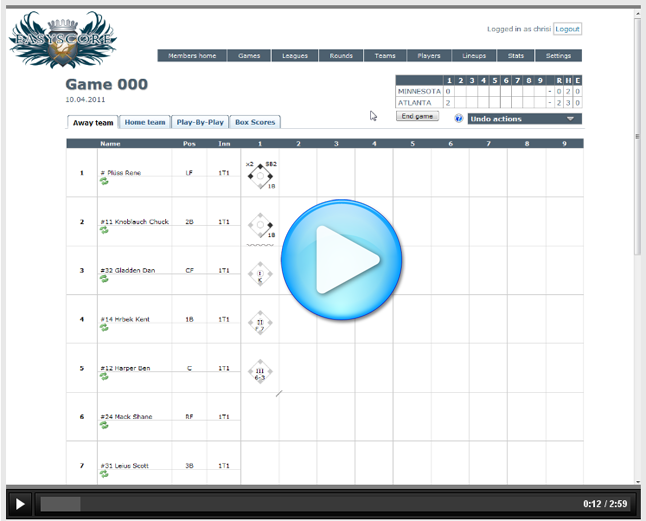 Follow games live as they are happening at your computer from home. free 30-day trial Sign up in 60 seconds! 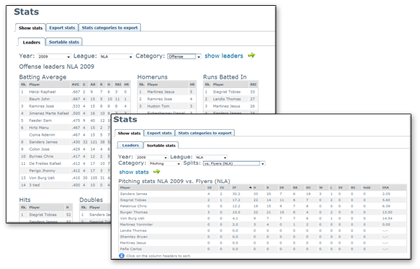 EasyScore is an easy and intuitive way of getting data from your baseball scoresheets into your computer. 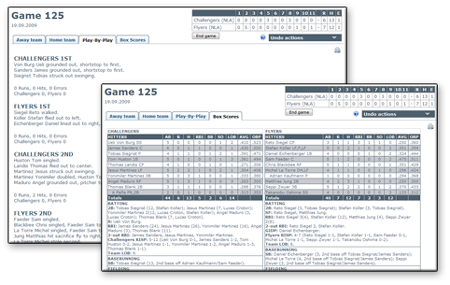 Easyscore automatically computes box scores, game logs and game and season statistics, based on data you entered with a couple of clicks of your mouse. Give it a try, and register now for free. April 7, 2019 iOS App available: Our mobile app for iOS has been reviewd and released and can be downloaded in the App Store. If you find any bugs, please report it to support@easyscore.com. April 3, 2019 Improvements on Undos: Two major improvements have been added with the latest version: One is the overall speed improvement when performing an undo action and the second one is about keeping existing pitch counts after an undo has been executed. This way, you don't have to remember those counts because the system will automatically write it into the field for you. March 20, 2019 Custom Play-By-Play entries: Added the possibility to add customized texts to the Game Log. This is especially useful in case of rain delays, letting the watchers of live GameCasts know why the game is not progressing. March 19, 2019 Saving lineups for reuse: Added the possibility to save entered lineups so that you can use them for other games. This is helpful for second games of doubleheaders when the teams basically use the same lineups. April 24, 2018 Mobile App for Android available: Our mobile app for Android has been released and can be downloaded in the Google Play store. If you find any bugs, please report it to support@easyscore.com.